Let’s face it – there aren’t many non-vegetarians out there that don’t enjoy good barbecue. The availability of a plate of mouth-watering smoked brisket, sausage or ribs at nearly any casual gathering is likely to produce a line of hungry enthusiasts. A little messy for a formal affair, perhaps, but still likely to induce some longing glances toward the smoker. 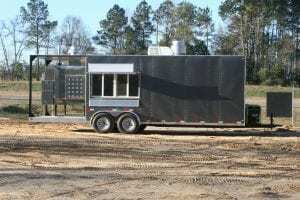 Just about every barbecue enthusiast claims a “secret” ingredient that makes their recipe unique, and a process that’s just a little different from others, and that often means they’ll want their smoker trailer set up in a particular way. 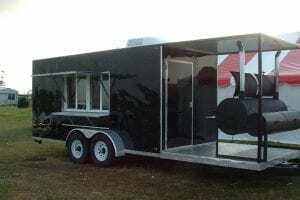 At Russell Concession, we like to get the customer involved in the design process, in order to provide them with the barbecue smoker of their dreams. In over 25 years in this business, we’ve learned a lot about building those dreams. 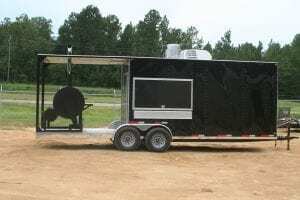 Our concession trailers incorporate features developed by many experts and innovative thinkers, helping us create smokers that are functional, efficient and durable. 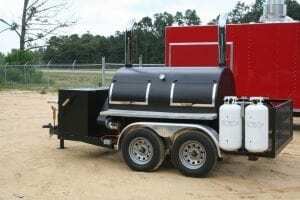 We can provide a smoker that will enable you to turn your love of barbecue into a profitable business. Many customers come to Russell Concession to purchase a barbecue smoker to start their own small business. 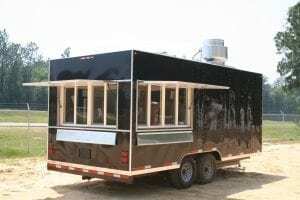 In fact, our smoker sales are comprised of about equal numbers of large clients and aspiring small business owners. 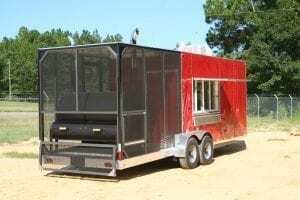 Our smokers are a very cost-effective top-seller for those wanting to start their own business. 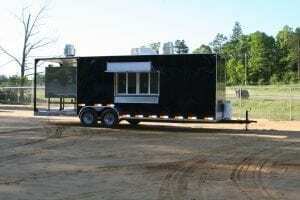 The beauty of a smoker trailer is that a person can set up quickly and easily at virtually any outdoor event. 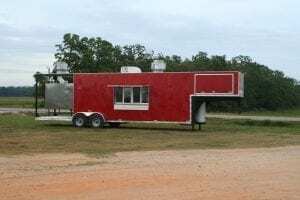 Carnivals, street fairs, sporting events, rodeos or swap meets – they’re all perfect opportunities for someone with a talent for making tasty barbecue and a desire to run a small business.